Middle East: Holy Masses Thank Pope Francis for his Support. 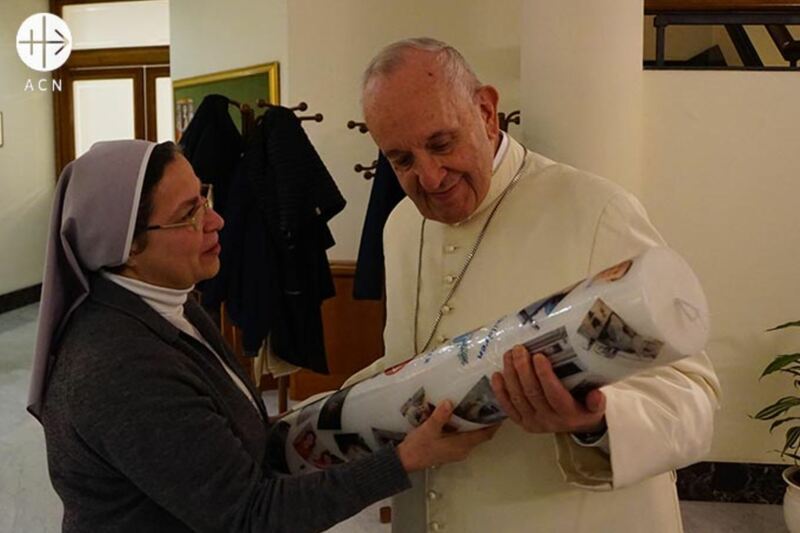 More than 1000 Holy Masses have been celebrated by Catholic communities in the Middle East in order to thank Pope Francis for his participation in the Advent initiative Candles for Peace in Syria, which was organized by the international Catholic pastoral charity and pontifical foundation Aid to the Church in Need (ACN International). On the first Sunday of Advent last year, during the Angelus prayer at the window of the Apostolic Palace, Pope Francis lit a candle and prayed that “this flame of hope and many little flames might scatter the shadows of war”. On January 1, 2019, the World Day of Prayer for Peace, at the initiative of Melkite Catholic Archbishop Issam John Darwich of Zahleh and Forzol, hundreds of parishes in Lebanon also associated themselves with the campaign, lighting candles at their New Year‘s Day Liturgies and praying for peace in Syria and throughout the Middle East.